How to Tell if Your Kid Needs Glasses #Infographic ~ Visualistan '+g+"
More than 60% of adults need some kind of corrective lenses. From glasses to contacts, managing our prescription eyewear, for those of us who require it, is second nature with many of us having used lenses from a young age. In children in particular, maintaining vision health sets up a good foundation for success. Unfortunately, vision issues often go unnoticed by teachers, parents, and caregivers leaving many children struggling. In kids, behaviors like squinting to see far away objects, head tilting, and covering one eye could all be indicative of trouble seeing. Long term results like difficulty reading and frequent headaches may begin to present themselves when vision issues aren’t dealt with. Even toddlers and infants can present vision problems early on and can be detected through developmental milestone issues. 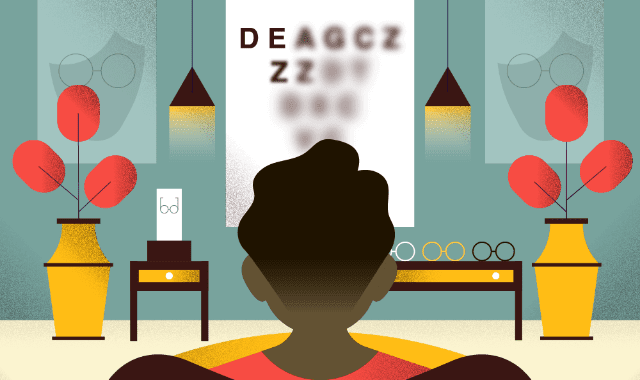 Luckily many state governments recognize the impact of vision care, especially in children, and require screening for school-aged children, some even requiring them for preschoolers as well. Spotting vision issues in children can be tricky but it can be done. This infographic from Frames Direct has all you need to know about your child’s vision health, how to recognize poor vision quality, and when it’s time to call the eye doctor.